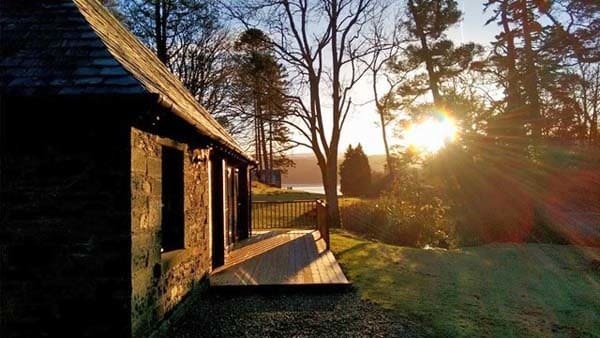 Set in the heart of Argyll, Ellary Estate is a perfect location for a relaxing west coast holiday. There are plenty of opportunities for exploring the area and the estate itself provides many varied walks, opportunities for photography, wildlife watching, fishing, scouring the rockpools and the chance to play on the beach. Away from the traffic, you can relax with a good book and the only sounds you'll hear will be the birds. Ellary is set on a peninsular and on the Loch Caolisport side much of the land is included in an SSSI, a site of special scientific interest. Indeed, the whole estate has been designated a National Scenic Area. The unspoilt countryside of makes it an ideal place to observe wildlife. There are large areas of oak woods and also woods mainly with birch and alder. These areas are home to many of Scotland's native species, and it is not uncommon to see foxes, badgers, otters, roes, sikas and red squirrels. Along the shore is the ideal place to observe otters and seals and look out for passing schools of porpoises and basking sharks. Wild flowers are abundant and birdwatchers will be delighted at the extremely rich birdlife with seabirds, raptors, many migratory species along with the usual native birds which inhabit the area. Permits are available to fish the Lochead Burn (salmon and sea trout) as well as other burns on the estates and a great many trout lochs, a real paradise for any fisherman. Cyclists and mountain bikers are able to explore most of the estates on the private estate roads and tracks. Golfers will appreciate the nearby golf course. The estate is just over 2 hours from Glasgow, with some great scenery on the way. Oban, the seafood capital of Scotland, is just over an hour away and is home to the various ferries to Mull and the Inner and Outer Hebrides. Inveraray is just under an hour to the north, and boasts various attractions which are ideal for a rainy day. About half an hour will get you to Tarbert, traditionally a fishing village, where there are ferries to Arran, Islay, Jura and Gigha. Turbine House has been developed from the building which used to house the old turbine which provided power to the estate. 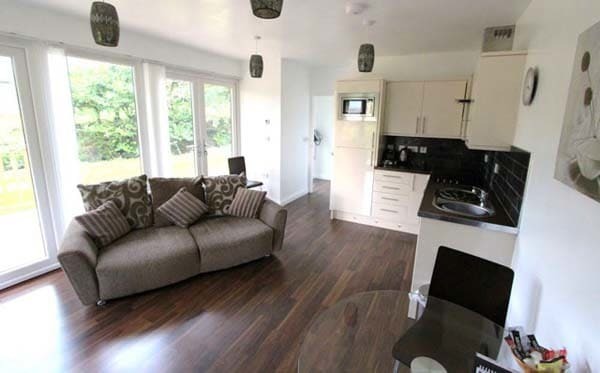 It features an open plan living room/kitchen, with windows along one side, and multiple French doors out onto the decking. 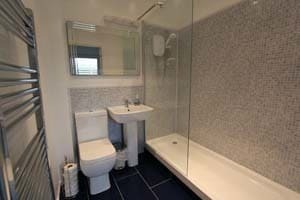 It is all on one level and also has a double bedroom, and a shower room. There is underfloor heating throughout, so it is very cosy. The burn runs past the house, giving a lovely atmosphere for sitting outside. 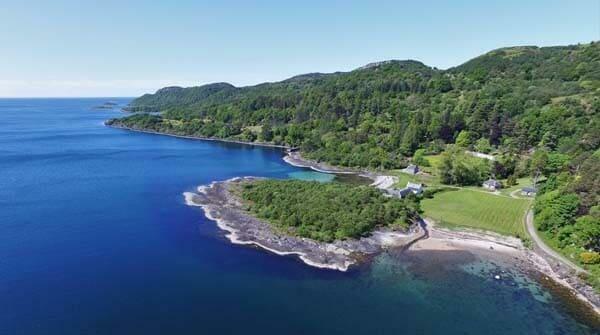 It sits a couple of hundred yards from the loch so is ideal if you want to bring boats or kayaks. The cottage is surrounded by a large grass area so is great for dogs. This is a gorgeous place for a romantic break or honeymoon! Leave Lochgilphead on the A83 in the direction of Campbeltown, turn right two miles after Ardrishaig onto the B8024 signposted Kilberry, turn right, about five miles later onto the unclassified road signposted to Ellary. Continue past Lochead Farm (on your right) for about 4 miles, past The Kennels, and the small group of cottages, almost to the end of the road and you will see parking for Turbine House on your right, with the cottage down the steps on the left. Electricity charged at cost. Underfloor throughout, so very cosy and efficient. Pets: first stays free. Maximum 2 per property. Change over day is normally Saturday, but flexible if there is space and at short notice. Check in from 3pm, out 10am. Weekend/short breaks welcome out of season or at short notice. 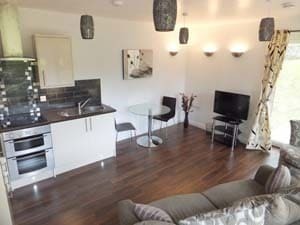 To book this delightful Argyll cottage for 2, click the enquiry button below and see availability and rental prices. 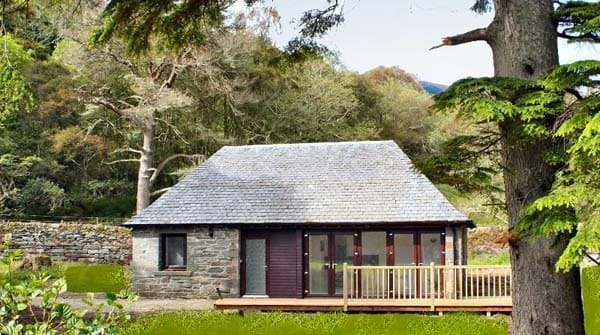 This is a fabulous cottage for a couple on a beautiful estate in Argyll. 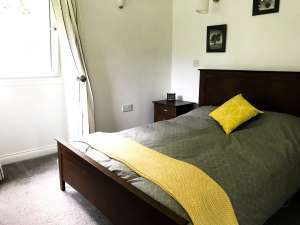 It is a perfect honeymoon cottage and there are beautiful walks on the estate as well as fishing, golf, sailing and lots of wild and birdlife to watch. Retreat to this very special part of Scotland and enjoy a truly tranquil break.